both watched me colour this it took a while but It came out pretty decent.. This was really a third entry of a pic trilogy meant to be post for a friend's B-Day, but I never coloured it till recently-- Here is me Nira Red panda and A old friend's Character, Patches. 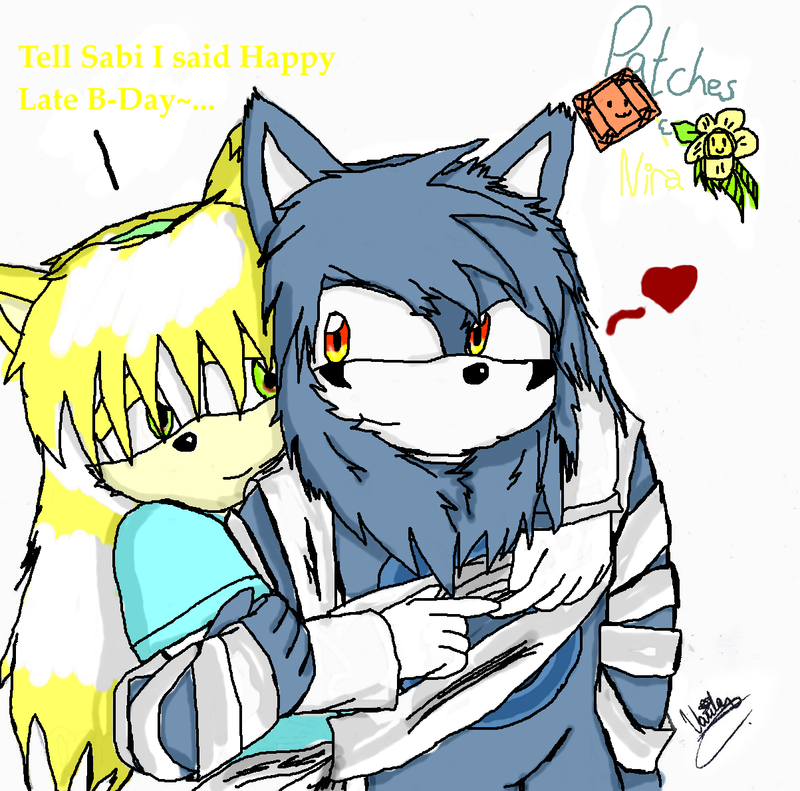 Giving the pretty belated b-day message and such..
XD wow I remember that night I watched this fantastic art. ahhh.... the memories lol. ( Even if it was like afew days ago) lol. We did have a nice talk did we? ^^ It still looksas awesome as ever ^^! Yeah I am on ^^. Usually on at night the most. (cough cough night person)lol. And no problem Swy. what have you been up to..? This is so amazing Val ;O;! I love it .u.! ohmygosh. This is so amazing Val ;O;! I love it .u.! No problem, Sabi.. I am so happy to know that you like it.. It really means a whole alot to me.. thank you so much..